More and more frequently, we are encountering individuals who are self-employed, do consulting work, or work as independent contractors; however, few of them are aware that there is an option available to them to save for retirement and potentially reduce their taxable income. A SEP-IRA is a type of retirement plan that allows employers to set aside money in retirement accounts for themselves and their employees (if they have any). It does not require that the employer file annual returns (because it is not an ERISA plan) and it is easy to establish and administer. A SEP-IRA is available to any type or size of business (although it may not be appropriate for all). How does an SEP-IRA work? Contribution limits: Only employers make contributions, not employees. Employers may elect to contribute the lesser of 25% of compensation or $51,000 on an annual basis in 2013 and $52,000 on an annual basis in 2014. Contributions to employees (if any): For those who have employees, they are required to contribute the same percentage of income to their employees’ SEP-IRAs on an annual basis as they do to their own. So, if the employer contributes 5% of her income to the SEP for a year, she must also contribute 5% of each employee’s individual income to their SEPs as well. Naturally, the plan is most advantageous if you do not have any W-2 employees because then you are not required to contribute for anyone but yourself. Contribution requirements: There are no annual contribution requirements. You do not have to contribute every year. Investment Options: You may invest in a wide variety of investment products (mutual funds, ETFs, individual stocks, bonds, etc.) in a SEP-IRA, much like a traditional IRA. You are not limited to a set number of mutual funds like many 401(k) plans are. Tax-Deductibility: Contributions made to the SEP-IRA (provided that they follow the limits indicated above) are fully tax-deductible. Tax-Deferral: Money within the SEP-IRA grows on a tax-deferred basis, just like a 401(k) or a traditional IRA. 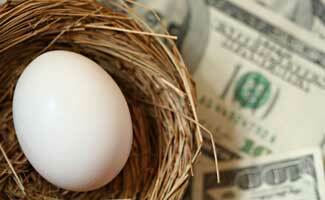 Distribution/Withdrawal: A SEP-IRA follows the same rules as a traditional IRA. Withdrawals are taxable in the year received. Withdrawals prior to age 59 ½ may be subject to a 10% penalty. SEP-IRA contributions and earnings may be rolled over tax-free to other IRAs and retirement plans. How do you set up an SEP-IRA? If you are interested in learning more about setting up a SEP-IRA, I encourage you to contact your Financial Advisor. You may open a SEP-IRA account at any brokerage or investment advisory firm, but I suggest that you pursue one at a firm where you are given flexibility to choose from a wide variety of investment options and are not limited to just one family of mutual funds. For instance, you can open a SEP-IRA account with an actual mutual fund company; however, in that case, you are typically limited to investments within that mutual fund family. An SEP-IRA is an excellent way to make sure you are ‘paying yourself first’ and tucking away money toward retirement, even if you are a consultant or independent contractor who is not part of a 401(k) plan, and you want to make sure you have a wide variety of investments available to you. References: Department of the Treasury, Internal Revenue Service (2013). Publication 560: Retirement Plans for Small Business (SEP, SIMPLE, and Qualified Plans). Retrieved from http://www.irs.gov.